Will Nexium Cause You Kidney Problems? There is a lot of confusion out there about Mirena lawsuits. Women are confused that there are so many lawyers in 2018 looking for Mirena cases yet they cannot find a lawyer for there case. If you are frustrated, I completely understand. Let me try to explain because there are not a lot of good explanations out there online. What Bayer HealthCare Pharmaceuticals knew about the risks associated with IUDs in general and, specifically, with Mirena? Why didn’t the company do a better job of communicating the risks of uterine perforation and migration? 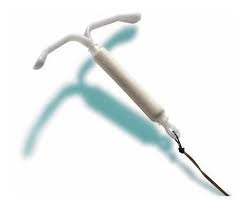 What Bayer tried to do to make its IUD as safe as possible? Were profits the motive to avoid making the warning clearer? As I have been saying, the Zostavax vaccine lawsuits are jumping with energy right now. Lawyers want these cases which is why you see television commercials and Facebook and Google ads (and, yes, legal blog posts) from attorneys hustling to sign up victims. 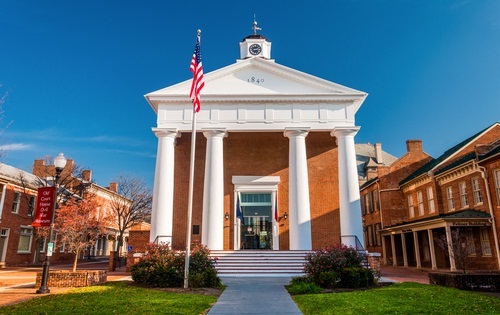 These Zostavax lawsuits allege that the plaintiffs experienced severe complications, most notably shingles, from being administered it. Another lawsuit has recently been filed in the Pennsylvania courts, that allege even more side effects other than shingles or Bell’s palsy. U.S. District Judge Vince Chhabria will preside hold the first glyphosate cancer case in federal court on February 25, 2019. It will be the first of over 600 cases that are in federal litigation to go to trial. This lawsuit involves a California man who claims that his long-term exposure to Roundup resulted in him receiving large B-cell non-Hodgkins lymphoma. His exposure stems from using Roundup to control poison oak and weed growth on his property since the 1980s. The complaint was filed in February 2016, about one year after his cancer diagnosis in 2015. The lawsuit alleges that the Monsanto, Roundup’s manufacturer, failed to exercise with care with respect to testing, manufacturing, and marketing it. It also alleges that Monsanto was being deceptive by claiming that Roundup was as safe as table salt. As you care for your little one, you should be mindful of everyday items in your home that can be a risk to their safety. Just because an item was made for babies, does not mean it is completely safe. Cribs and strollers can still be a safety risk to your baby. However, this means that you must use them in a safe manner. Your baby’s stroller can be a significant risk to their safety. A Consumer Product Safety Commission (CPSC) report estimates there were 13,400 reported cases of stroller-related injuries that required a visit to the emergency room. Many of these injuries were caused by a fall or strangulation. Between 2012 and 2014, an average of two children died per year from stroller-related accidents. Many stroller-related injuries or deaths occur when infants are left to sleep while the stroller’s back is in the recline position. In my mind, the biggest update in the Roundup lawsuit is that there expected settlement value keeps rising. Here is what else is happening. During a hearing on October 24th after the whopping $289 million verdict against Monsanto, a California trial judge issued a ruling reducing the verdict. This case, as you probably know if you are reading this, involved a man who was diagnosed non-Hodgkin’s lymphoma a couple years after using Roundup several times a day while on the job as a school groundskeeper. The judge reduced what was previously a $289 million settlement to $49 million. The judge reduced the punitive damages to match the compensatory damages. The Children’s Hospital of Philadelphia (CHOP) has been conducting a study on polyethylene glycol 3350 (PEG 3350), the active ingredient in MiraLAX, and its effect on a child’s brain. The study came about after reports that children have been experiencing behavioral problems after taking MiraLAX. What is MiraLAX and how is it different? MiraLAX is a laxative that. MiraLAX has branded itself as being different from other laxatives by having fewer side effects. The medication’s own website notes that it works with your body’s natural process to provide relief from constipation. It claims that working with the body prevents harsh side effects. This contrasts from stimulant laxative pills, which forcefully stimulates nerves in your colon. Another Valsartan Recall? Are You Serious? This is just crazy. It what appears to be a rerun of a rerun, the FDA has once again updated its recall list of valsartan-containing products. If you are currently taking Valsartan, you must check that list to see your medication may or may not be on it. If you are unaware of the previous valsartan recalls, please inform yourself as this will help you become more informed on how these medications may affect your overall health. You must also know about the lawsuits involving NDMA-contaminated valsartan, as it shows what kind of hardships people might experience after taking these tainted drugs. What was added to the recall list? The FDA added valsartan-containing products under the brand name RemedyRepack to its recall list. Their tests determined that the valsartan brand contained N-nitrodimethylamine (NDMA), which is considered a carcinogen by both the Environmental Protection Agency (EPA) and the FDA. The pharmaceutical companies Prinston and Solco distribute this brand. Both Prinston and Solco are involved in class action lawsuits throughout the United States that involve their distribution of already recalled valsartan-containing products. This updated recall list highlights the extent of how many valsartan-containing products are contaminated. If you have a Ethicon Physicomesh lawsuit, here are 8 things you want to know. The Physiomesh was introduced in 2010 and had an absorbable film coating on each side of the mesh. It was designed to minimize inflammation and incorporate the patch into the body. Ethicon, a subsidiary of Johnson & Johnson, manufactured the Physiomesh. 8 Things to Know About Window Tint Laws in Maryland and D.C. Window tints laws require a significant amount of light to be transmitted in car windows. Once pulled over, a police officer may check to see if your car’s window tints are legal or not. You may ask yourself how police officers can do that. In addition to knowing how to check for too much tint, you must know the window tint laws in both Maryland and D.C.
How do the police determine if a window has too much tint? The only way to determine if there is an actual violation of the statute is for the officer, after stopping the vehicle, to conduct a test utilizing a “two-piece window tint meter.” When observing a vehicle without the benefit of such a device there is no definitive way to determine if the window tint on a car is in violation of the statute other than by eyeballing it. Recent findings from the Trial Assigning Individualized Options for Treatment (Rx), also known as the TAILORx trial, show that chemotherapy is not beneficial to the most commonly found form of breast cancer. Sponsored by the National Cancer Institute (NCI), researchers found that chemotherapy does not benefit 70 percent of women with estrogen receptor-positive, HER2-egnative, axillary lymph node-negative breast cancer. Hormone therapy combined with chemotherapy is not more beneficial than treating breast cancer with hormone therapy alone. Researchers released this data at the American Society of Clinical Oncology’s annual meeting this year in Chicago. Beginning in 2006, researchers conducted this study to examine the effectiveness of hormone therapy alone compared to using both hormone therapy and chemotherapy in treating breast cancer. The study divided women into two groups. The groups were based on the individual woman’s genes that determine their risk of cancer recurrence. This would be determined by a molecular test that examines their tumors. It is known as the Oncotype DX Breast Recurrence Score. The test examines 21 genes associated with breast cancer recurrence. Each participant’s tumors were analyzed using this test. They were each assigned a risk score that was on a scale from 0-100. The higher the score, the higher the recurrence risk. Women who had a score of 0-10 received hormone therapy only. Women who had a score of 26 and above were considered high-risk and given chemotherapy. Women who had a score of 11-25 were randomly assigned to receive just hormone therapy or hormone therapy and chemotherapy.